Schnitzel & Boo: Two For One: Book Review + a Tutorial! Two For One: Book Review + a Tutorial! I'm hard at work, these days, catching up on my to-do list. 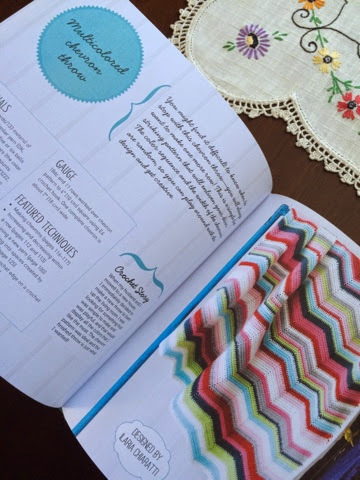 One of the things at the top of my list has been my Blend Fabrics tutorials and Mollie Makes book reviews. I thought this would be the perfect opportunity to combine the two. 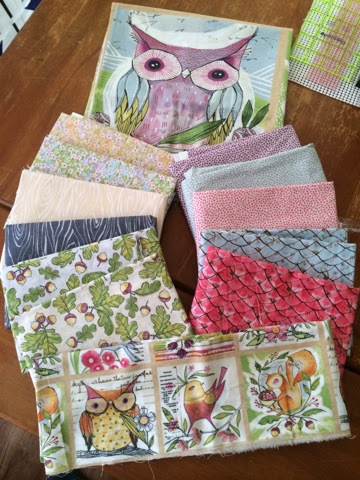 Blend sent a bundle of Good Company by Cori Dantini. Isn't it cute? I love this one, it's so full of color and original artwork! 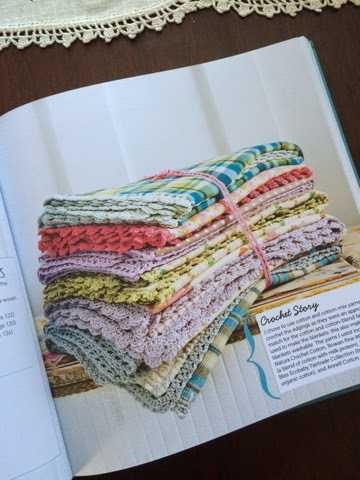 I instantly zeroed in on the Baby Blankets on page 24. I don't crochet, I never could quite get the hang of it. 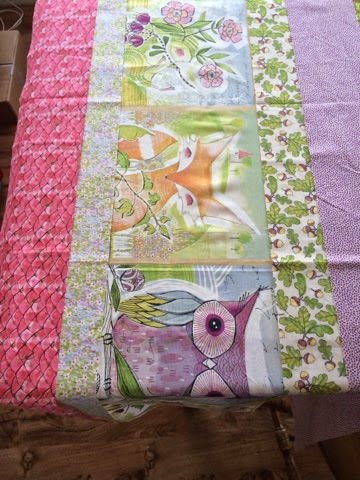 But, my sister does (and she is mind-blowingly talented at it!) and she doesn't sew but she's learning. I figured I could do the same with her craft of choice. So, I made a blanket (easy peasy). 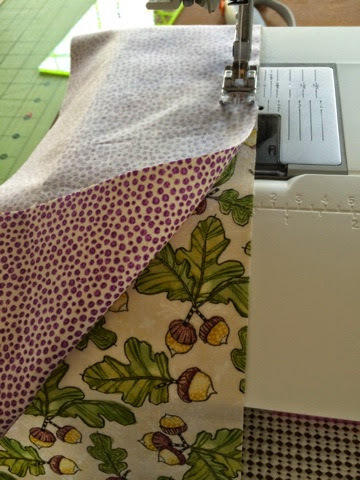 Keep sewing the strips together, pressing seams to the side as you go. 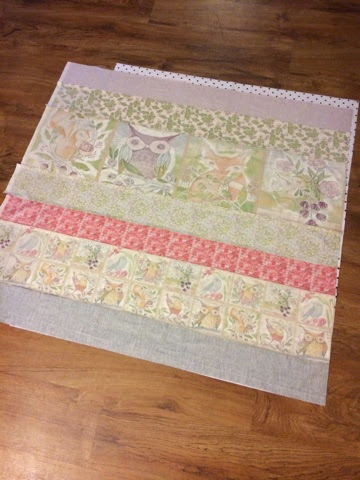 When you have the last seam sewn and pressed, lay it right side up on the floor, or your table. 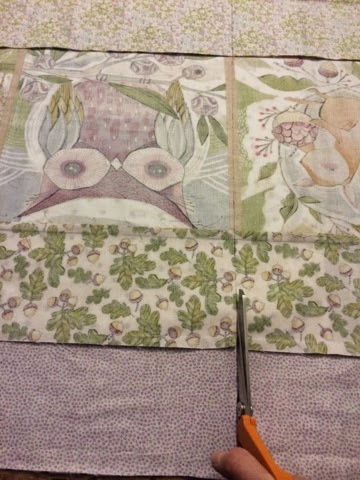 Lay the flannel right side down on top of it, having raw edges matched; trim edges as necessary. I pin with balls in, not balls out like Angela, here. See? I'm making her turn them all around. The reason is because a lot of sewing machines have screw holes in the throat plate, and if you sew over pins like I do (Sh! Don't tell on me!) then you don't want the balls to get stuck in the holes. 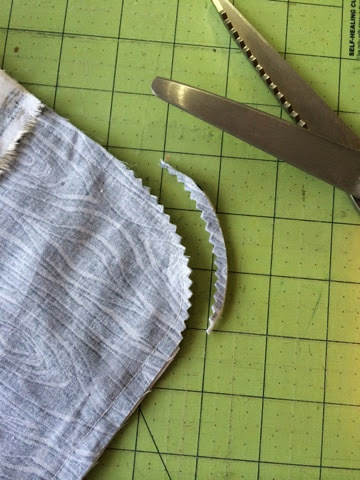 It's frustrating and makes for wonky seams. 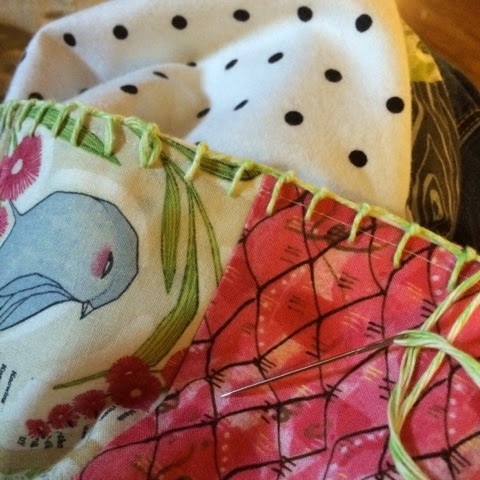 Sew all the way around the blanket using a 1/2" seam allowance. 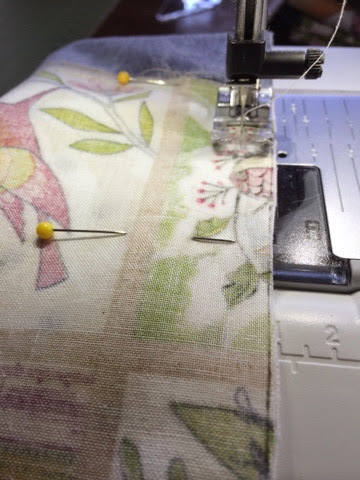 Be sure to back stitch on each side of the opening! Trim the corners using pinking shears, or clip v notches if you don't have any. 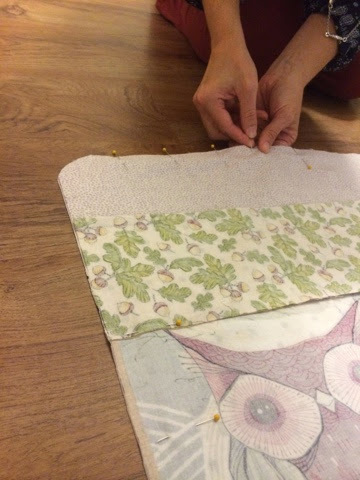 Turn the blanket right side out, press and then top stitch all the way around with a 1/4" seam allowance. 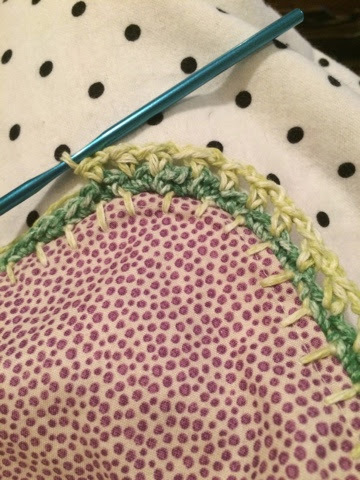 Next, using your yarn and tapestry needle, blanket stitch all the way around the blanket, using the 1/4" top stitch as a guide. This is where the book comes in handy. The directions are clearly illustrated and easy to follow. 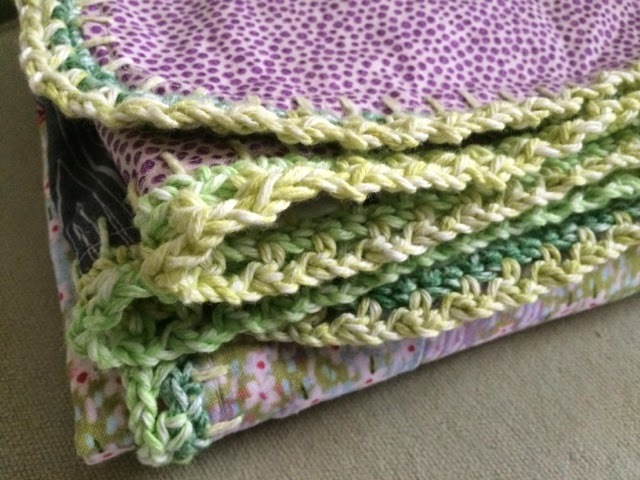 Trust me on this one, before I made this blanket I could t crochet to save my life! 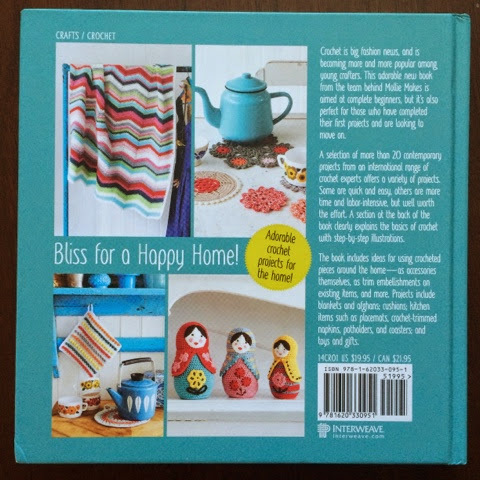 Once you have completed the blanket stitch, you can choose a decorative edge to add to it. 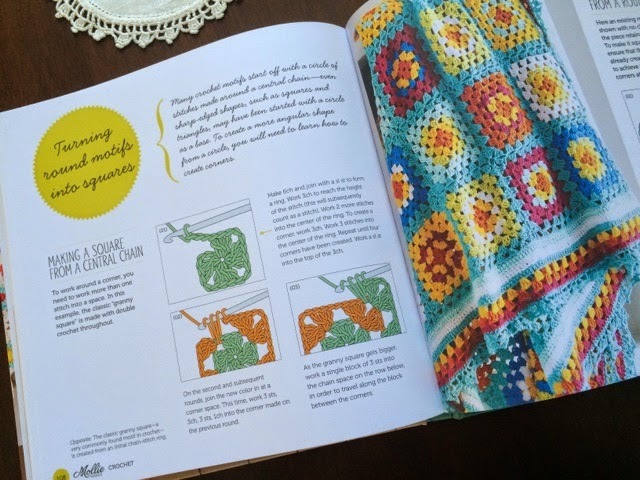 In this book, there are three options: shell edging, lattice edging and picot edging. 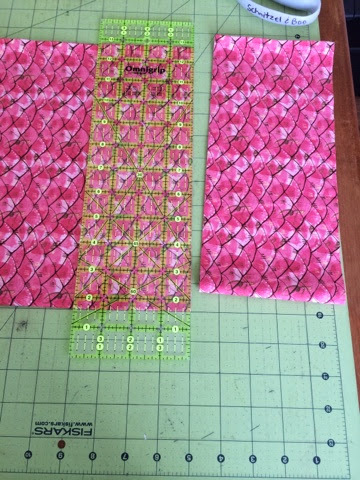 I chose the lattice edging because it looked the easiest. 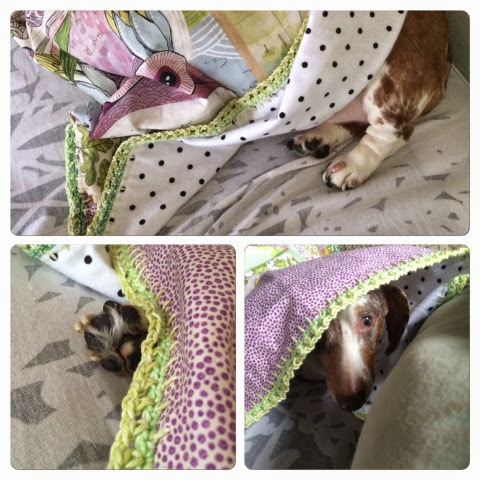 My friend Angela showed me how-even though I yelled at her for pinning balls out-and off I went! 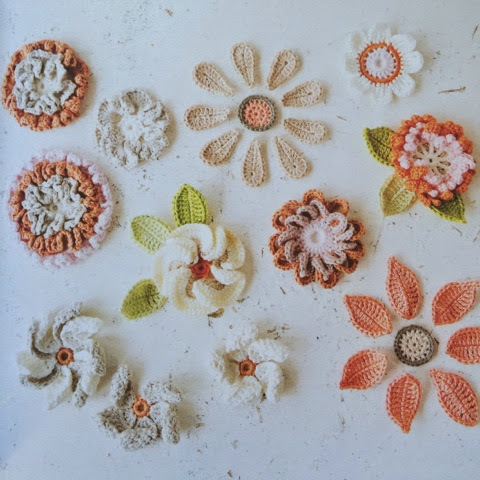 This book features 20+ projects, I'm confident that even if you've never picked up a crochet hook in all your life you could make something from it. 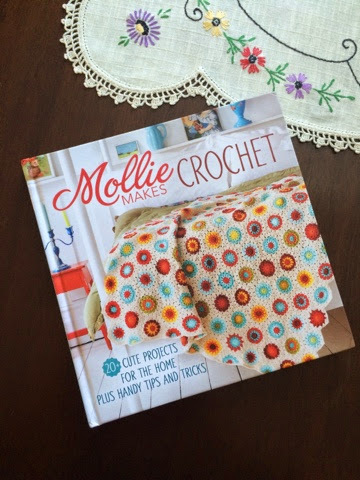 I think Mollie Makes always does such a beautiful job of inspiring the creative soul. I've always admired and loved the look of crochet but never thought it could be done by me. 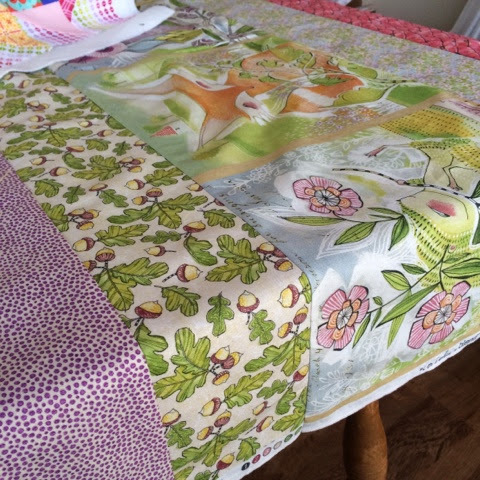 I've looked at several tutorials and have tried reading patterns. This book was the first thing I've looked at that really clicked and everything made sense. Even if you're a seasoned pro, this is a must-have book for your library. Every single thing in it is so cute. Total eye candy! What's even better is that it is on sale at the publisher's website. Totally worth the $19.95 price tag, but s completely unbelievable deal at $9.98! Ten bucks?? Yes! 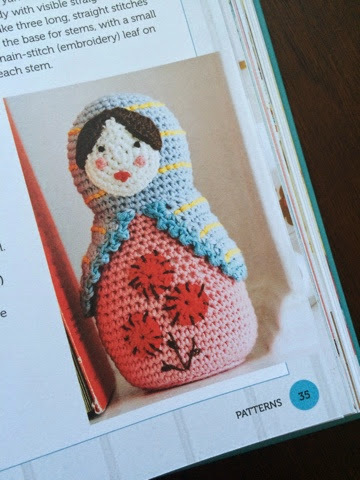 I can't crochet either but think I would love this book. The crochet round the panel quilt works really well.